Complete your Utah real estate continuing education requirements. Our courses are designed to help you fulfill your CE credits for your Utah real estate license renewal. This is an online real estate school that offers you the convenience of studying at your own pace in any location with Internet connection. 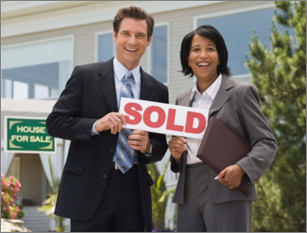 Our real estate CE courses meet the requirements of the Utah Division of Real Estate. Take your Utah real estate continuing education now. This complete 18-hour Real Estate CE package includes comprehensive online education programs designed for anyone wanting to renew their real estate license in Utah. The Utah Division of Real Estate requires 18 hours of continuing education every two year to renew an active license. Nine (9) of these hours must be completed in the approved mandatory topics. This online package include all 9 hour of core and 9 hour of elective courses that satisfy all CE requirements and gives you the flexibility to take your CE courses wherever it is convenient for you. This complete 9 hour Real Estate CE package includes core courses that are designed for anyone wanting to renew their real estate license in Utah. The Utah Division of Real Estate requires 18 hours of continuing education every two year to renew an active license. Nine (9) of these hours must be completed in the approved mandatory topics. This online package provides you the approved 9 hour of core courses in one bundle and gives you the flexibility to take your CE courses wherever it is convenient for you.